I have a question about the property at 14 Cumberland Street Boston MA 02116 (#72450918). I would like to schedule a visit for the property at 14 Cumberland Street Boston MA 02116 (#72450918). I have a question about the property at 14 Cumberland Street Boston MA 02116 (#72450931). I would like to schedule a visit for the property at 14 Cumberland Street Boston MA 02116 (#72450931). I have a question about the property at 6 Dwight Street Boston MA 02118 (#72474307). I would like to schedule a visit for the property at 6 Dwight Street Boston MA 02118 (#72474307). Gorgeous one bedroom condo located in a brick 4 unit building & INCLUDES 1 DEEDED parking space in back of building. Sunny high first floor unit has hardwood floors throughout and high ceilings. Small kitchen with granite counter tops, stainless steel appliance, gas cooking & beautiful maple cabinets. Master suite with tile bathroom. In-unit W/D combo. Close to BU Medical Center, MBTA Silver Line, Restaurants, I-93/90 and all the South End has to offer. I have a question about the property at 106 E Brookline Street Boston MA 02118 (#72481184). I would like to schedule a visit for the property at 106 E Brookline Street Boston MA 02118 (#72481184). Awesome deal on a sunny 1 Bed 1 bath apartment in an incredible location on Tremont st South End. This apartment comes with tons of value & charming features! This unit is very spacious and has enormous ceilings and tons of natural light. The bedroom is a large size and comes with a full walk-in closet and shoe rack. This modern unit is situated on the third floor and features an updated kitchen and bathroom. The kitchen consists of a full gas stove, fridge, sink, and dishwasher. The living room is also large in size with big windows and a bonus office/room off the side with a closet. Enjoy the city views and convenience of this location nestled near public transportation & many shops and restaurants. Decorative fireplaces in both living and bedroom! This unit is available ASAP or May 1st the latest. Gas (heat) and electricity separate. Text/call agent for more details. Awesome deal that wont last! I have a question about the property at 595 Tremont Boston MA 02118 (#72473674). I would like to schedule a visit for the property at 595 Tremont Boston MA 02118 (#72473674). I have a question about the property at 27 Hanson Street Boston MA 02118 (#72464613). I would like to schedule a visit for the property at 27 Hanson Street Boston MA 02118 (#72464613). I have a question about the property at 715 Tremont Street Boston MA 02118 (#72470056). I would like to schedule a visit for the property at 715 Tremont Street Boston MA 02118 (#72470056). I have a question about the property at 36 E Newton Street Boston MA 02118 (#72485118). I would like to schedule a visit for the property at 36 E Newton Street Boston MA 02118 (#72485118). I have a question about the property at 104 Union Park Street Boston MA 02118 (#72484152). 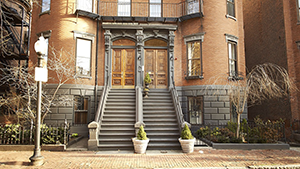 I would like to schedule a visit for the property at 104 Union Park Street Boston MA 02118 (#72484152). This beautiful South End one bedroom is located minutes from Copley Place and the MBTA. The unit features an eat-in kitchen, dishwasher/disposal, and its own balcony. The building is pet-friendly with common laundry. I have a question about the property at 36 Dartmouth Street Boston MA 02118 (#72481812). I would like to schedule a visit for the property at 36 Dartmouth Street Boston MA 02118 (#72481812).